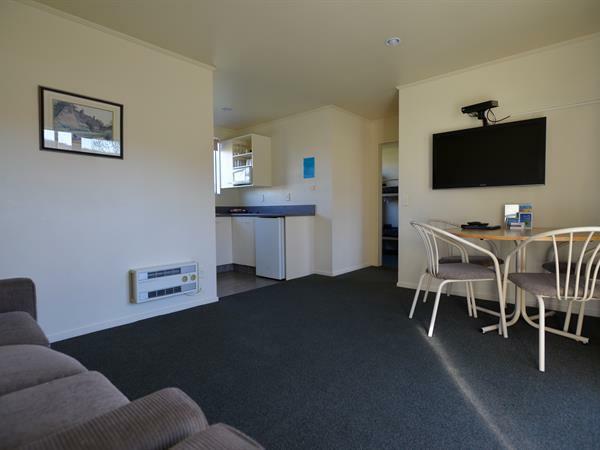 These cosy accommodation units truly are a home away from home featuring a fully equipped kitchen and all the mod-cons to ensure you enjoy your stay with us. The living area has a kitchen featuring full cooking facilities including a fridge, microwave and a cook-top. There is also a toaster and jug for your breakfast in the morning. Our Self Contained Units also have a shower and a toilet. There is a spacious lounge with TV, dining table and a sofa which converts into another double bed. The Self Contained Unit sleeps 2-6 people. The separate bedroom has both a double and a single bed and don’t forget the convertible sofa bed in the lounge area.